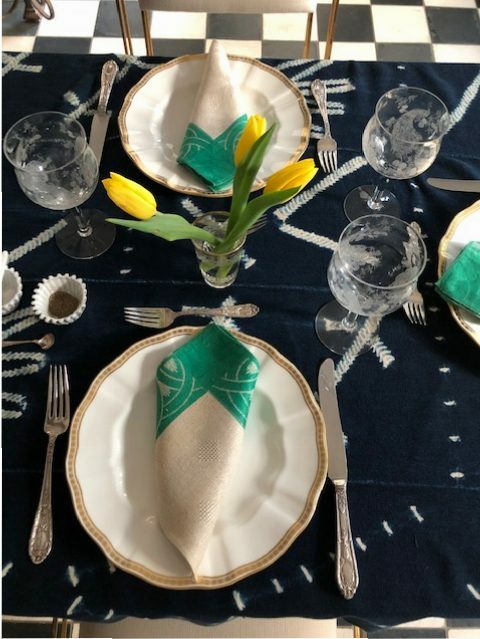 Playing with the table setting. After too many years of turkeys and beige bland side dishes my family revolted. Why on this special holiday would we celebrate by eating food we really don’t like? So out went the turkey and stuffing. In came the Mexican food. My husband and I are from Texas and all but me are of Mexican heritage. We are grateful for these two places and the delicious foods that emanated from them. So we will happily give thanks with chile con queso, quesadillas, and Mexican corn. Typically we celebrate this holiday with our friends. Having no relatives in Florida, four friends in particular have become like family. They drive on the more traditional road to Thanksgiving enjoying green bean casserole and mashed potatoes. They are being good sports about our new tradition however while sneaking in a few of their favorites, the above mentioned green beans and potatoes. A Casa V table features an assortment of foods from the Southwest and México. The Thanksgiving menu this year is pan seared salmon with cumin and coriander crema and chipotle salsa, mexican corn, roasted butternut squash with spicy onions, brussel sprout quesadillas, arugula and shrimp salad with green goddess dressing, lemon tart with piñon crust, and chocolate pecan pie. A dose of Santa Fe. Three recipes above came from Cafe Pasqual’s cookbook. 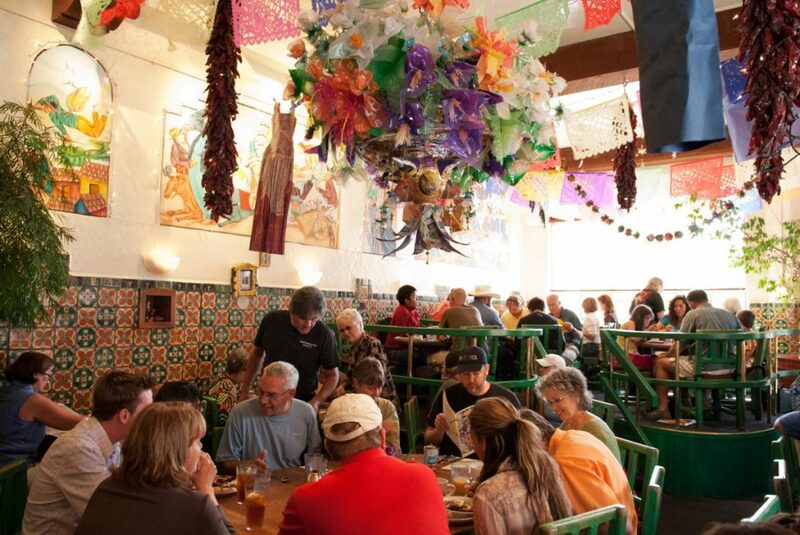 If you have not been to this Santa Fe restaurant you must go on your next trip. It is small, charming and a feast for the eyes. That description is just for the decor. The food is decadent and ridiculously delicious. The cookbook would be a good addition to one’s library. Trying new recipes is not the safest idea when company is coming, yet I do it anyway liking to try new foods. 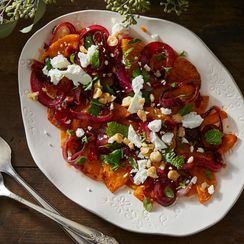 The roasted squash recipe was featured on Food52 this past week. I frequently reference that site when looking for dinner inspiration. A video demonstrating how to make this squash recipe assured its inclusion. Dessert at my house always means chocolate. Anything else is a waste of calories. 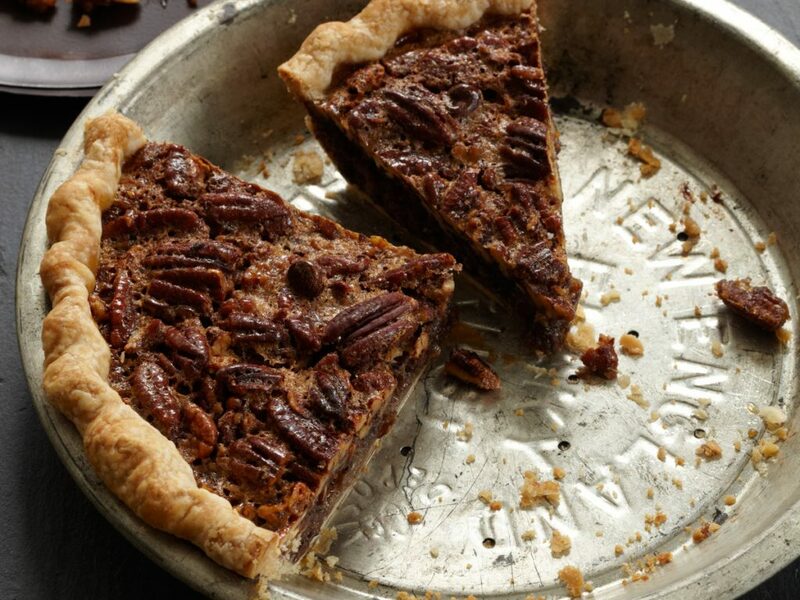 This chocolate pecan pie is sinful. Hope your Thanksgiving table is full of delicious food but more importantly that it is surrounded by people you love. Casa V Interiors can create a house that reflects your tastes.